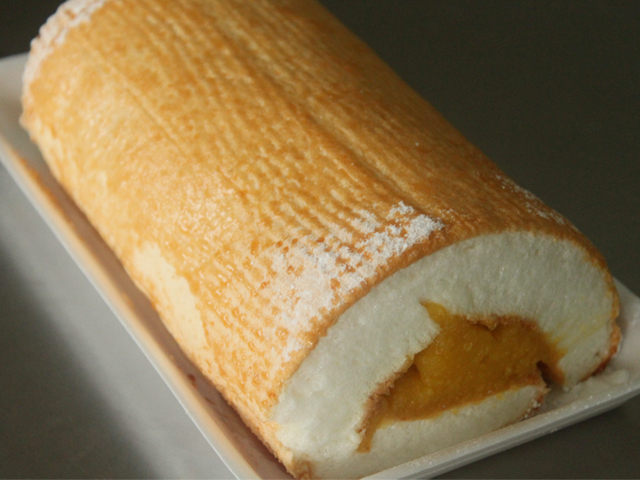 Brazo de Mercedes is a classic Filipino dessert and a favourite at Filipino parties. Brazo de Mercedes literally translates to “Mercedes Arms”, perhaps due to its elongated and arm like appearance. This is a sweet rolled meringue cake that can be bought from just about any bakeshop in the Philippines. It is seriously sweet. That soft, marshmallowy texture of the egg white layer and then that sweet, custard-like egg yolk mixture in the center is just heavenly. This dessert doesn’t keep for very long and will begin to shrink and might even collapse so consume on the same day or refrigerate and finish the next day. 1. In a saucepan, simmer milk over low heat until reduced to 2 cups. Add sugar, butter, and vanilla extract, stirring constantly. Remove from heat. 2. Beat egg yolks in mixing bowl. Add a little of the milk to the egg yolks, stir, then gradually add mixture by spoonfuls back into the saucepan, beating constantly. Stir well to avoid curdling. 3. Add cashew nuts and continue cooking entire mixture over low heat, stirring constantly, until mixture has the consistency of a paste. Set aside. 4. For meringue, preheat oven to 400 degrees. Combine eggs and Cream if Tartar then Beat egg whites until stiff. Gradually add 1 cup sugar, beating continuously. Stir in vanilla. 5. Line a large cookie sheet with parchment paper greased with butter and spread meringue on top. Bake until brown. 6. Spread filling evenly on top of meringue and roll into a log. 7. Brush with butter and brown again in oven.